I love having fresh flowers and living plants in my house, but I don't have a lot of natural light so I tend to stick to hearty no-fuss plants. 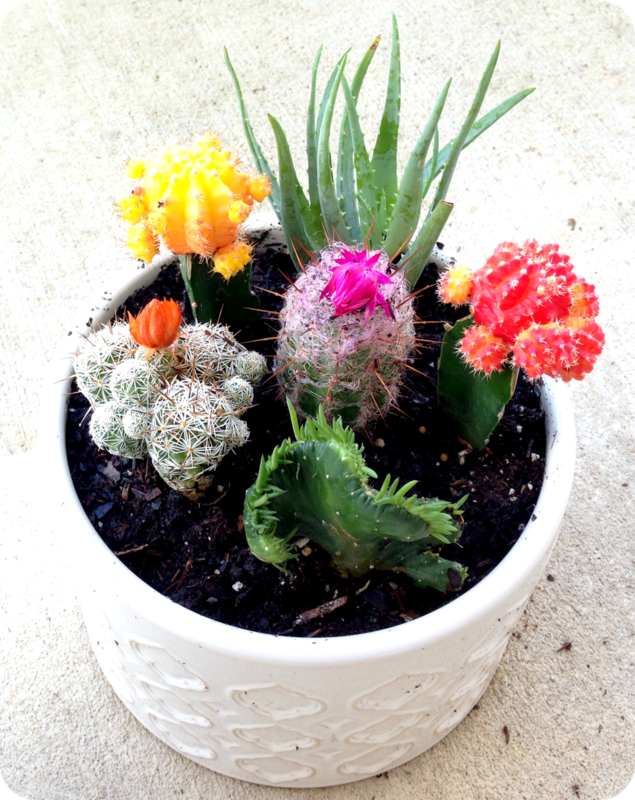 That's why I LOVE cacti! They come in so many shapes, sizes, and colors and are extremely tolerant. Since my herb centerpiece died I have been looking for something to plant. I love succulents, but I tend to kill those too. 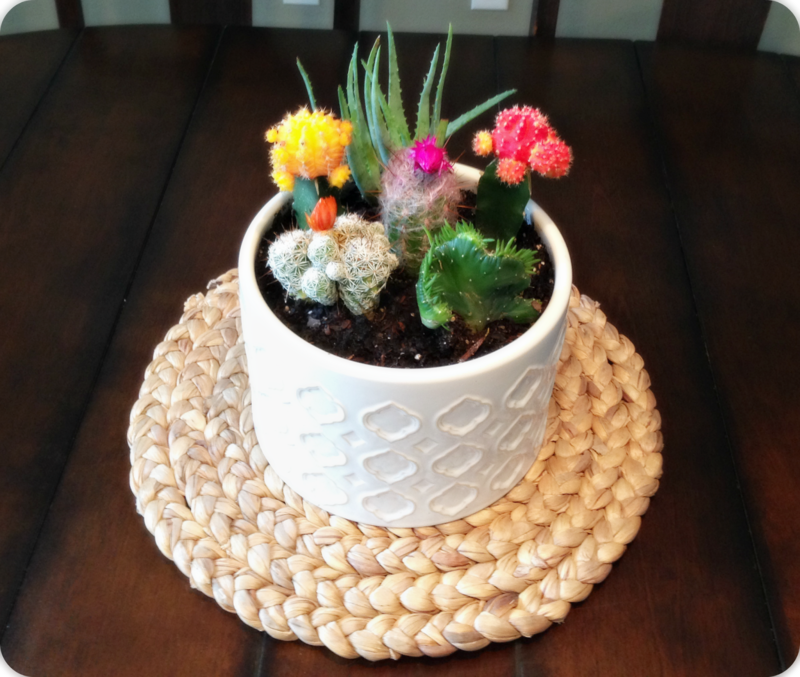 Then I remembered loving a cactus centerpiece from Young House Love, so I decided to make one of my own. 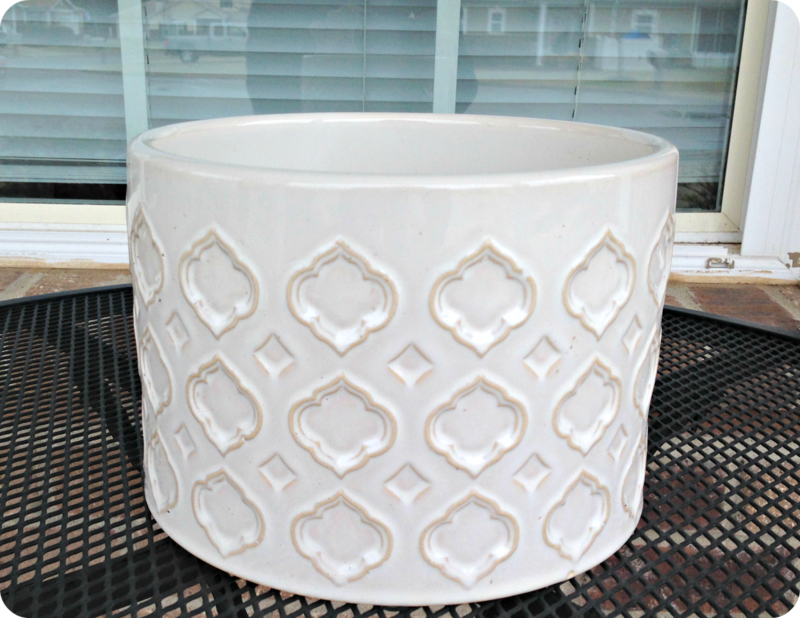 I already had this planter on hand from Wal-mart that I have been using as the centerpiece for my dining table. 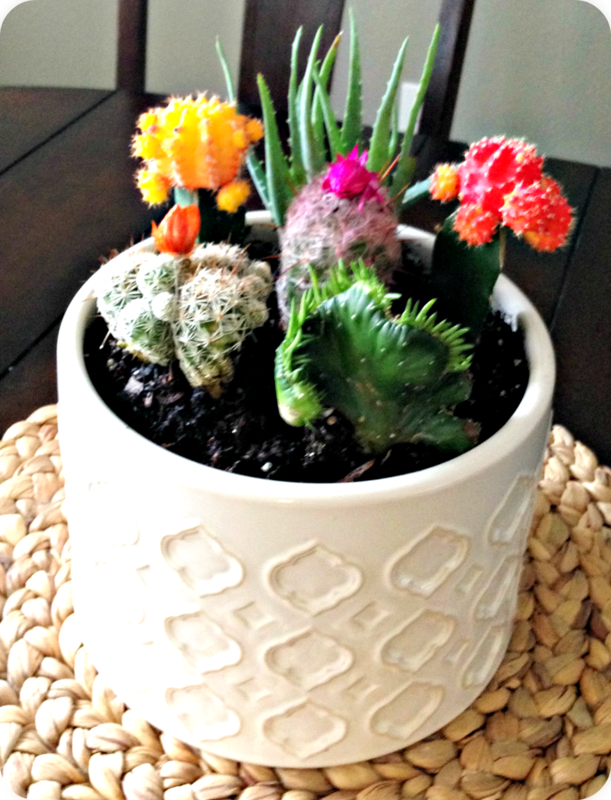 I searched far and wide for the perfect cacti! Home Depot had the best selection by far. I bought 5 (it was so hard to choose, they were all amazing and unique) and it ended up costing about $17. Before planting them, I arranged them exactly how I wanted. Then I planted (wearing gloves), watered, wiped down, and finally admired my work!